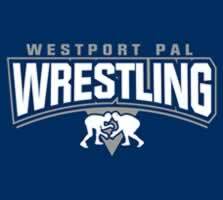 Practices will take place on Tuesday and Thursday evenings from 5:45 – 7:15 p.m. and on Saturday mornings from 9:15 – 10:45 a.m. Saturday practices will be geared toward wrestlers wishing to participate in competitions/matches. Practices will be held in the Staples High School Wrestling room starting on November 29th. Tournaments take place primarily on Sundays with some weekday exhibition matches. Competing in these events is not mandatory and new wrestlers can participate in practices until they are comfortable with competition. this includes USA wrestling card, insurance, coaching,and facilities charges. Necessary equipment includes wrestling shoes and headgear. All of this can be ordered through the following link to ASF.